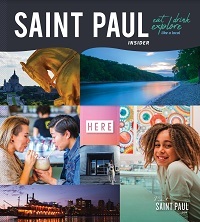 You won’t find a more diverse and beautiful St. Paul and Minneapolis shopping destination than Grand Avenue. Stop by today and experience what many know as the best in Twin Cities shopping! Grand Avenue shops boast a wide range of styles that are all individually unique. On the Avenue, you will find some of the best apparel, accessories, shoes, spas, books, furniture, and gift shops in Minnesota. This variety along the Avenue is what entices our visitors, who are looking for a unique Twin Cities shopping experience, to keep coming back. Yes, your dog is adorable. Please bring your dog to Saint Paul.